The 27th TQEH Research Expo was held on Thursday 18 and Friday 19 October. Researchers in training (students or clinical trainees) presented the results of their research in 6 sessions, vying for over $5000 in prizes thanks to our generous sponsors from The Hospital Research Foundation, Faculty of Health and Medical Sciences at The University of Adelaide, the School of Pharmacy and Medical Sciences at the University of South Australia as well as Lonza, Southern Cross Science and ThermoFisher Scientific. Additional sponsors Eppendorf, Coherent Scientific, Abacus ALS, Beckman Coulter and the Australian Genome Research Facility also contributed to the overall success of this event. 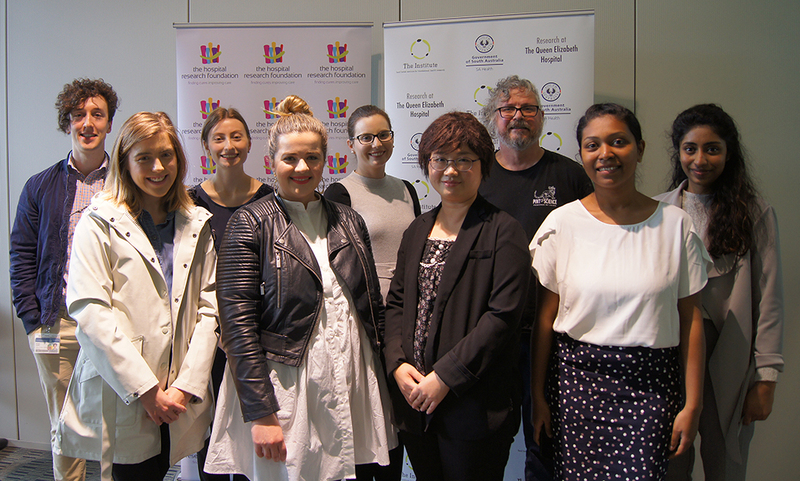 A Researcher Showcase featuring talks from grant and fellowship holders, was well attended by supporters of The Hospital Research Foundation on Thursday afternoon. The Plenary Lecture on Friday was given by Professor Peter Rathjen, Vice-Chancellor of The University of Adelaide. Congratulations to all the Award Winners, listed by name and research group on the TQEH Research Expo page.